In the modern day, security is increasingly important. Many homes and businesses require the use of CCTV cameras to keep an eye on their properties and gather evidence should a break in occur. It’s essential that security conscious people keep up-to-date and have the latest technologies available for maximum effect. There are many factors to take into account when deciding on the right CCTV option for you, such as video quality, reliability and accessibility. Internet Protocol (IP) cameras are a popular choice for modern security measures as they have a number of advantages. They are commonly used for a wide range of security purposes in homes, offices and in public places. IP cameras, also known as webcams, are named as such because they transmit directly over the internet. IP cameras come in a wide range of specifications, shapes and sizes. They work by connecting to a network and transmitting directly to the electrical devices that share the network. This is a major advantage as it means they can connect and transmit without the reliance of any other device, such as a computer. They work very much in the same way any other digital video camera does, by capturing images in high resolution then compressing and transmitting them in real time. Amongst the many benefits of IP Cameras are improved video resolution. Often you will see that surveillance footage is useless should the worst occur as it’s almost impossible to make an identification from grainy, unclear footage. It’s possible to gather HD quality footage using an IP camera that would be much more useful in the event of a break in or another security breach that may occur. With a professional setup, it’s also possible to add new IP cameras to the network whenever required. It’s also worth having expert help to strategically place your cameras for maximum coverage. 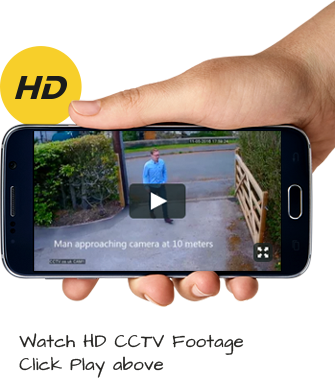 It’s even possible to view the footage from your camera off-site in real time once set up correctly, meaning you can keep an eye on your property even when you’re not there, although you will require an internet connection to do so. Not only that, but IP cameras often have superior storage capabilities to ensure that you don’t run out of memory when you need it most. This also means that you can store your footage for longer without the need to delete for new images. Interested in setting up IP cameras in your home or business? We can help! Get the benefit of our professional CCTV installation services and rest assured that you’re covered should the worst happen. Contact us today and take the first step towards a safer, more secure property.